We are Dave and Elizabeth Gerszewski. We know… that name is a mouthful! “Dave” and “Elizabeth” are all you really need to know. Hey, at least our first names are easy! We are writing to you from the central coast of California. Our cottage is nestled in a quaint, seaside village halfway between San Francisco and Los Angeles. 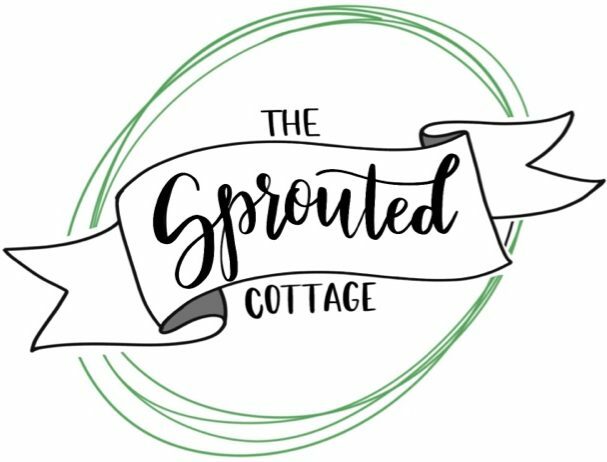 The Sprouted Cottage is all about getting back to the skills and mindset of a bygone era. You know, the stuff your grandma used to tell you stories about. You’ll find articles that show our lifestyle as a young family finding the balance between quality and affordability; convenience and health; living in the media age while desiring a slower pace. We aren’t the perfect homesteading family but we sure do love figuring it out. You’re going to find delicious recipes, tips and tricks for your “sprouts”, and other ideas to take your family on delightful adventures! Thanks for stopping by. Grab your coffee (or hot cocoa if you’re more like Dave), put on some fun music, and follow along on our adventure. We hope you’ll picture yourself right here with us, listening to the waves on the back porch. Back porch guests are always the best!